Yes, Thanksgiving is just days away and then we’re full on into the holidays. So, why am I even talking about New Years? 1. I just re-watched While You Were Sleeping. Great chick flick where Sandra Bullocks character saves someone’s life and then is mistaken for his fiance and the hilarity ensues. But the point is that she has a passport that has never been stamped. 2. I was just reading a news article online about how people are already lining up for Black Friday. While I love supporting our local retailers and I am all for a great deal, the thought of camping out through Thanksgiving and missing out on family time to save a few dollars on a gift to give to a family member seems a little out of alignment to me. The time to get your passport is when you don’t need it. If you have the opportunity to travel somewhere you don’t want the added stress of wondering if your passport will arrive in time before you are scheduled to leave on your grand adventure. While you are out and about these next couple of weeks pop into a photo center and get a handful of 2 x 2 pictures of yourself and your family members. They can come in handy for alot of things not just passports. Then go online and fill out the passport form and print it off. Even if you have no plans right now for any grand adventure in 2012 it is a good thing to have and you save money by giving yourself the money to go through the standard Passport processing time. It will take about six weeks to process. 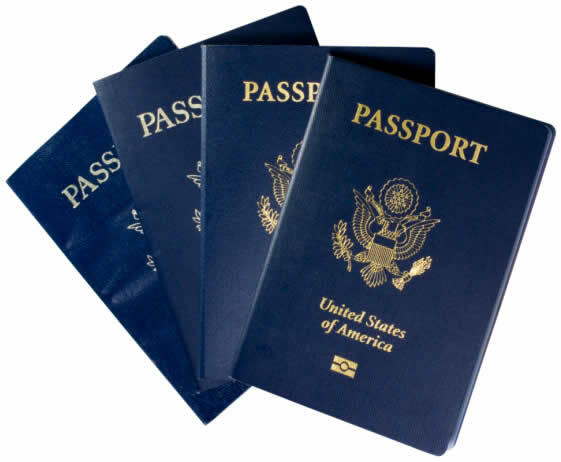 If you find you need a passport faster than that they are happy to help you for additional charges. Save that money for yourself and get your passport now while you don’t need it. Then on New Year’s Eve you can dream big and think about that vacation to Paris.